Melody offers an experiential approach to the body waiving between her experience in contemporary dance, Laban, improvisation, somatic movement, Body Mind Centering and experiential anatomy as well as integrating bodywork and conscious touch with years of meditation and self-inquiry practice. 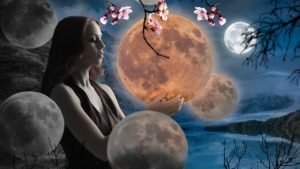 She guides you into a Journey of embodiment of your life force, moving from the inside of the body we inhabit with its cells organized in different systems( nervous, fluids, bones, muscle, organs…) to the outer environment we live in and move through ( nature and space). 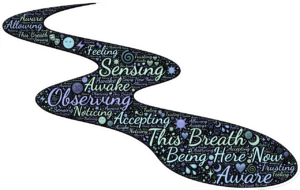 To support your natural and organic way of moving and at the same time gently stretches your body-mind limits. To contribute to a somatic well-being while giving you tools to rise your life energy vibration and cultivate your natural inner healing guidance. To encourage tuning into the present moment and listening to your body and its rhythm. To find the expression of your unique dance of life and embodying it. Somatics refers to the whole person – physical, emotional, psychological, and spiritual..Somatics is a holistic and interdisciplinary approach that connects body sciences, psychology, and movement to help each person understand more about his or her body/mind and move toward greater integration.Somatic methods teach us to listen to our bodies. Melody’s classes are: fun and safe, working to develop people’s skills not just in dance and creativity but also in group co-operation, listening, trust, focus, connection with the self and others, expressivity, sharing, empathy, respect and responsibility. 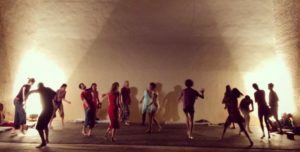 Due to her years of experience traveling and working in many different setting, she offers students a uniquely inclusive approach to dance emphasizing creativity and somatic practice. She encourages each person to move beyond pre-existing ideas and believes and to discover one’s natural ability to move and follow one’s needs. She teaches her students to respect and nurture their instrument of expression and unique characteristics and stay in alignment with the truth of the moment. 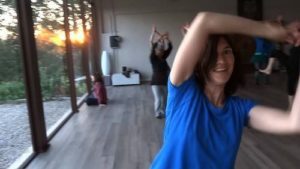 Workshop for women to reconnect with their natural rhythm and power through the body. A workshop exploring the vertebral patterns: spinal, homologous, homolateral; a journey into the development of movement through the animal kingdom following the BMC principles. Workshops for pregnant women in preparation for giving birth. Explorative movement and body awareness classes, based on experiential anatomy and embodiment somatic practice. Somatic movement exploration into the different systems of the body following the BMC principles and experiential anatomy. We dive inside the body with a curious attitude of an explorer to discover our internal land as if we move into a magic world of cells, fluids, bone structure to find out how it works and function and how this can support us while moving and acting in the outer world in our daily life. Somatic movement & touch, workshop based on BMC principle. Workshop for all, to find through dance and body as well as active meditations a channel of expressing feelings and emotions and be present and alive. Workshops for young children and their parents. A playful journey into imagination, senses and creative games to connect with your children in a physical and fun way. A workshop where we learn to touch and be touched in a conscious way, tune into listening rather than doing. We meet, connect and support each other while respecting our and others limits. We reconnect with our innocent need of touch and care.